St Luke's Blog: Mooncup crew coming to a pub near you! Mooncup crew coming to a pub near you! 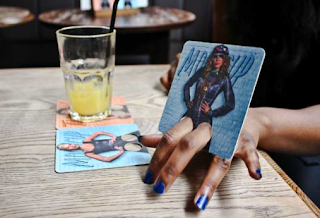 Ever found yourself fiddling with beermats in the pub while you wait for your mate who always turns up casually late? Or there's a lull in conversation and your eyes flit around your surroundings in the hope of finding something quirky to point out? Well, Mooncup crew are coming to the rescue! Our latest piece of work builds on our previous Rap Battle which launched in January. Allow us to present the Tampon vs Mooncup finger puppet beermats! The new beermats have an image of one the of Tampon vs Mooncup girls on the front, a couple of finger holes, a quote of lyrics on the back and QR codes for you to scan to reach the original Rap Battle on YouTube and also the Rap Battle Boombox so you can create your own rap to the beat. 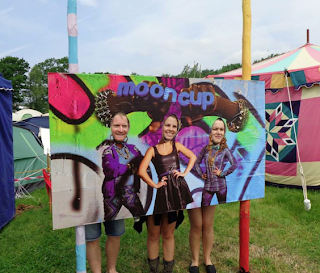 Mooncup want to see your attempts so get sharing on Facebook and Twitter! 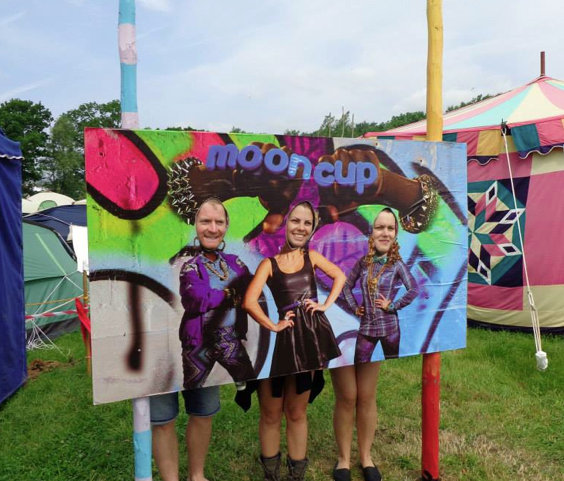 For those of you lucky enough to have been at Glastonbury, you may have seen the Mooncup crew there, giving out the new beermats and playing Face in a Hole as shown below. However, for the rest of us, the mats will be live in pubs and bars across London, Birmingham, Manchester, Leeds, Glasgow, Newcastle, Liverpool, Brighton, Sheffield and Bristol from this week! So keep your eyes peeled, limber up your dancing fingers and get your smartphones ready, the Mooncup crew are coming to a pub or bar table near you. Take a bow, Dark Fruit.